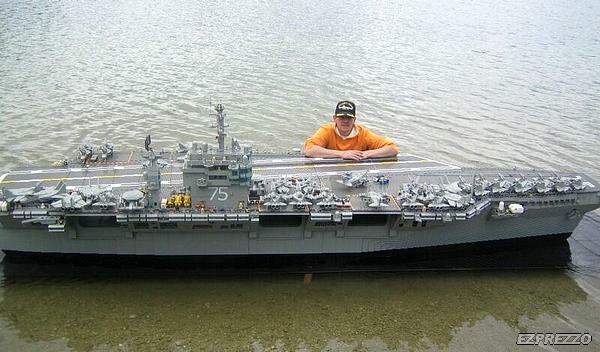 This massive Lego aircraft carrier took Malle Hawking almost a year to build. It is about 5m long, 1.40m wide and 1.2m tall, contains over 200,000 Bricks and weighs over 160 Kilos. It has working aircraft elevators, a hangar, radar dishes, electrical lights and a working catapult/slingshot for launching the jets.